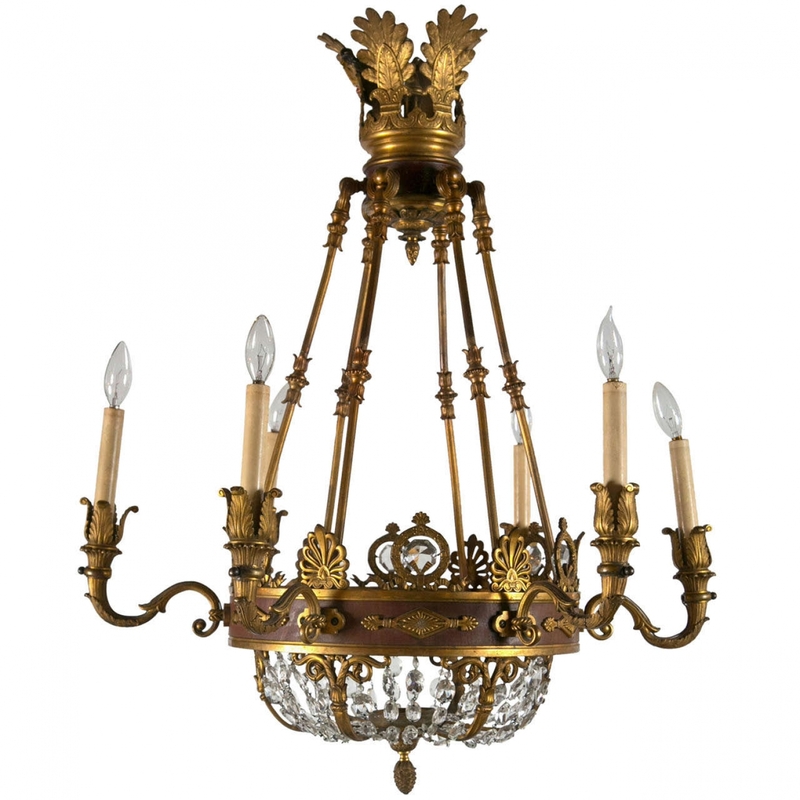 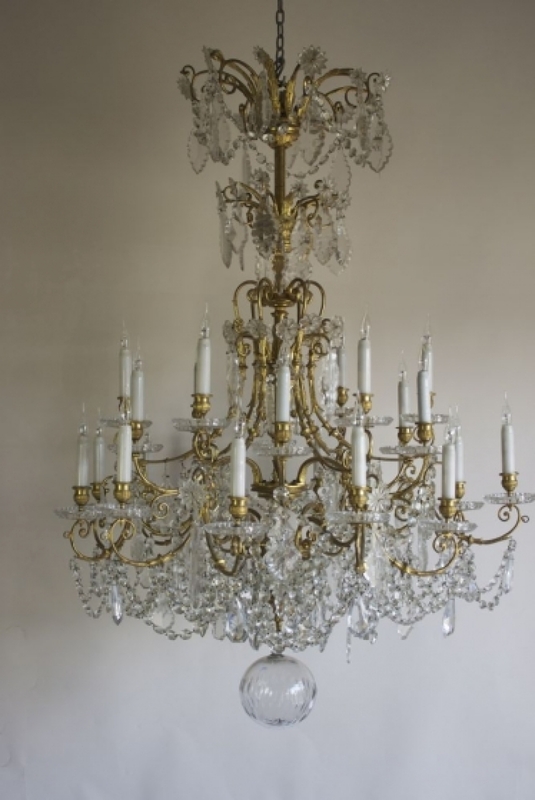 Presently we are seeing a revival in the Empire style of antique chandeliers. 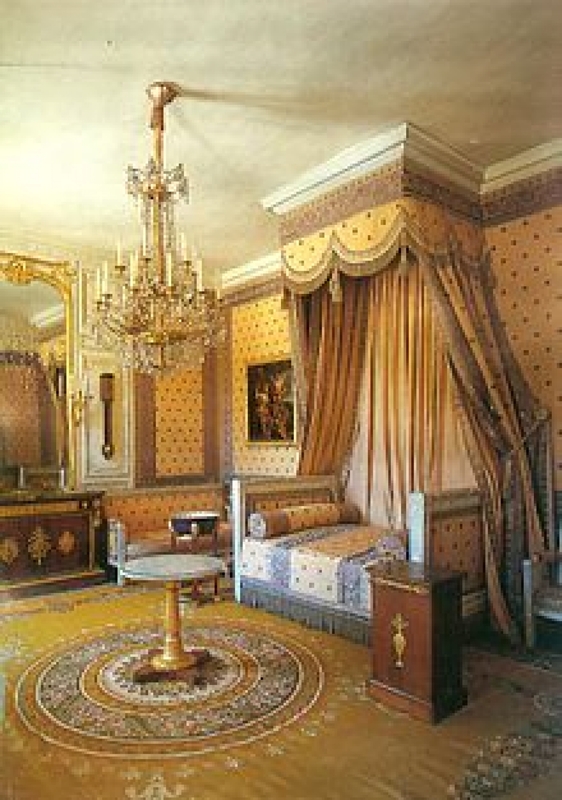 The style takes its name from the rule of Napoleon 1st in the first French Empire, it corresponds to 1st period Biedermeier, Federal style in the US and Regency stye in the UK. Chandeliers tend to follow the tent and bag format or tent and waterfall and often have gilded bronze feathers at the top. This style was also heavily copied during the 1920s. 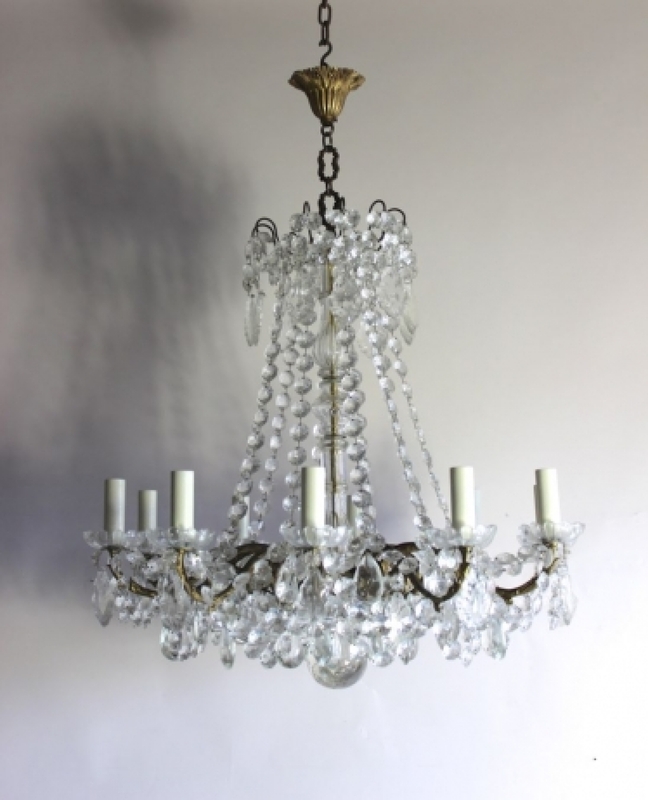 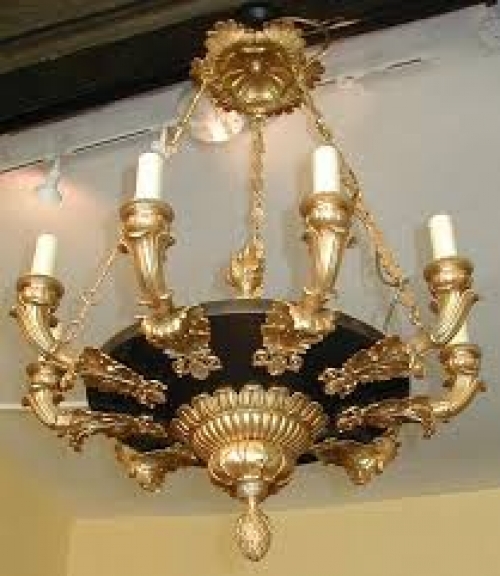 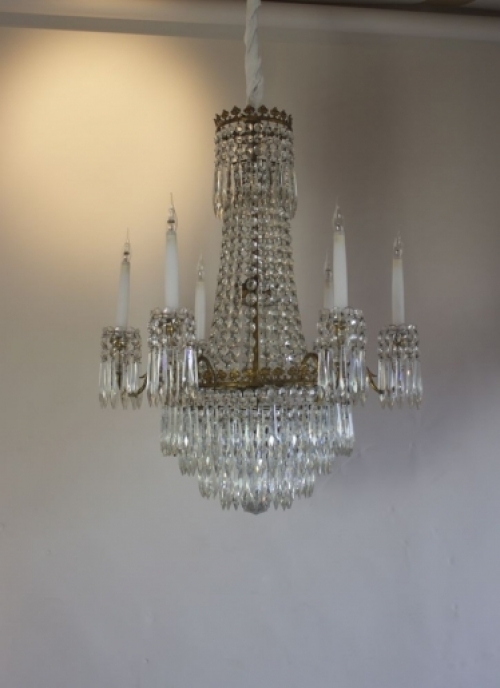 We have several chandeliers of this style and period presently and others are on the way. The versailles bedroom of Napoleon 1st shows a heavily empire style design and the chandelier is similar to one we have pictured below. Lighter brigher examples of this design are also available usually from Italy or Scandanavia showing the format of tent, bag and corona .